Rescue workers are desperately hoping that Julen Rossello will still be alive by the time they reach him. 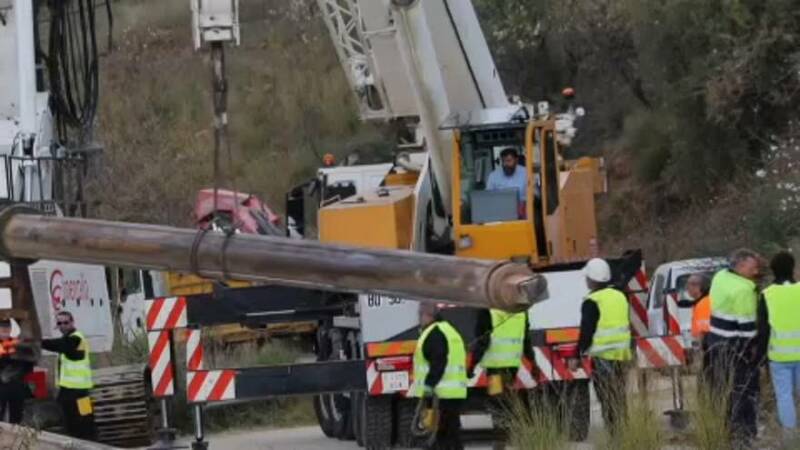 The two year old fell down an umarked borehole in Totalan in Malaga Province last Sunday as he was on a rural walk with his family. The entrance to the borehole is just 25 centimetres wide at ground level but it's 100 metres deep. An earlier attempt to dig through the side of the area towards where engineers believe Julen to be, has failed. Unable to go down the narrow shaft, rescuers used machinery first but found a blockage some two thirds underground and are now trying to drill two tunnels either side of the borehole to reach the boy. The same team of mine rescue experts which helped find the 33 Chilean miners trapped for 69 days in 2010 are helping civil police officers and firefighters. Despite the expertise available the lead engineer says the operation is very challenging. "The geology of the terrain is complicated. Overnight we have found rock formations, very hard material and this is slowing down our job," Angel Garcia said. Rain is also forecast, which would only add to the difficulty. The plight of Julen has captivated many in Spain, particularly since the family have already suffered desperately after losing another two year old boy was killed on a beach in 2017.